Going back several thousand years, men and women have worn various hair braid designs as a practical way of keeping the hair neat and in a comfortable style. Modern braids do not veer far from this concept. You can make a single braid from between two and eleven sections of hair, but the basic method is always the same. The following designs offer a great variety of style and challenge for braiding your hair. The basic three-strand braid is also referred to as the English-style braid. It is the easiest of the braids to do on your own hair. It is composed of three evenly divided sections of hair woven one over the other, starting at the side or back hairline to the ends of the hair. Crown hair braids, also known as a milkmaid braid, start the same way as the basic braid. The difference here is that this style has a braid on each side of the head behind the ears. To create the style, you must then arrange the hair braids over the top of the head in the style of a crown. Tuck the ends under the braids to hide them. You can make the elegant French braid by taking small sections of strands of hair from the top or crown of the head. 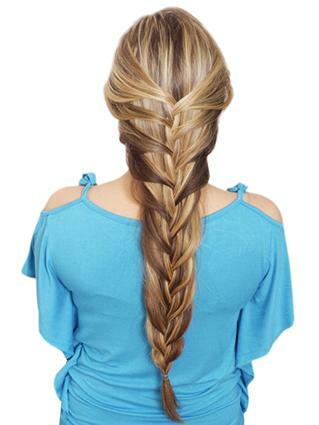 Gradually add more hair to each section in even amounts so that all the hair is integrated into the braid. Although the classic style is to wear one single braid, you can also make two or more French braids on the side, sometimes braiding the hair together into one if the hair is long and thick enough. The mermaid braid is similar to a French braid hair style. It uses the same braiding technique, but only half the hair is braided. The main difference is that with the mermaid braid, you add hair in small sections from the front hair line and cross over the hair to braid in the back; French braids arrange hair into the braid. Dutch braids are also called an inverted French braid. You make this hair braid by weaving the sections of hair under, rather than over, each other. This creates the look of a braid that sits on top of the hair rather than being hidden under the hair. Dutch braids are typically done in three- or five-strand variations, but you can also do them with more strands. Lace braids are similar to French braids as well. You can add them anywhere on the head, but it's most common to start from the front hair line. The difference between a lace braid and a French braid is that only one side is added to. This can be from the top of the braid or the bottom of the braid. Waterfall braids are similar to lace braids in appearance. 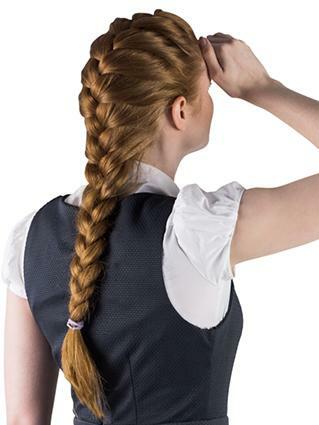 You add strands of hair to the braid from the top and drop from the bottom side of the braid. You can do this braid on your own, but it will take practice to get used to the technique. Adding a braided bun like the example below adds a nice finish. A ladder braid is simply a waterfall braid on top and a lace braid under it; together, they form a ladder shape. It can add a beautiful accent above a ponytail or braided bun. This braid is better done by someone else than trying yourself, since it typically goes from one side across the back of the head. Micro braids are small individual braids that are tightly woven and last for weeks or months, typically worn in African-American hair. Often, a stylist will weave hair extensions into the hair braid with the natural hair. Pixie braids are a variation of micro braids worn by very young girls that do not have extra hair added. 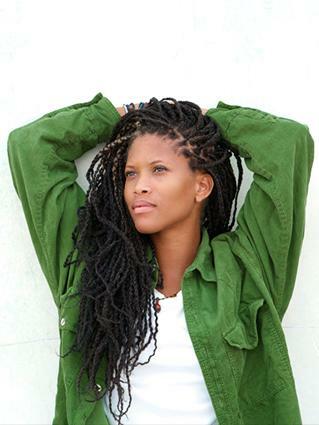 Invisible braids are much smaller than traditional micros. 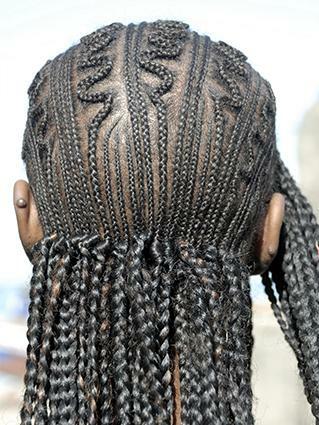 If done well, these braids look like strands of hair from a distance. The hair is braided about an inch, and the ends are left free. This hair style works best on short natural hair that has hair added into the black braids. Box braids are similar to micro braids in that the braids are individual and loose. The braids are formed by small squared off parts or boxes of hair. Box braids are not attached to the scalp like cornrows and this makes it easier to arrange hair braids into other styles, such as updos. Cornrow braid designs, also called track braids, are a striking style for African-American hair, equally effective for men and women. To create a cornrow, you must braid the hair in thin, tight braids close to the scalp in straight lines. A skilled hairstylist can also braid the cornrows in a variety of geometric designs. This sort of design can take hours to accomplish, but the time and money are well spent because the cornrows can be left in the hair for several weeks. Cornrows are often adorned with beads or cowry shells, following ancient African tradition. Tree braids are a type of cornrow braids, but they stylist does them as very small track braids. The braiding process is similar to a waterfall braid in that as the braid progresses and extension hair is added, small sections of hair are pulled or branched out. 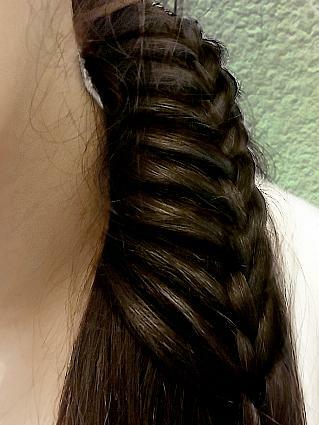 The fishtail braid is simple to do on your own hair. You work this braid from two sections of hair with small pieces crossed from section to section. The smaller the sections taken, the more the finished braid will resemble scales. The lobster tail braid is a twist hair braid. You can make it by twisting the strands of hair as you go while also twisting each section as a braid. It sounds complicated, but it really isn't. The finished product is beautiful. A basket braid looks time consuming and daunting, but it is easy to master with a little practice. This braid starts as a five-strand braid as the center. Then, you weave a three-strand braid into it on each side. At the final count, eleven strands make up this stunning braid. A style that goes back to young women in the Middle Ages and was popular in the late 1960s and early 1970s, accent braids have come around again as teenagers sport thin braids on either side of the head. The braids add a flirty bit of interest to loose, flowing hair. You can also add them to any updo or have ribbon added for a bit of flair. Be mindful of the sort of band you use to secure a hair braid. A rubber band will damage your hair. Use proper coated bands or nylon bands to fasten ends. Other hair accessories like bobby pins, clips, and barrettes can also work to fasten braid hair styles that do not go all the way to the ends of the strands of hair. Don't be afraid to be inventive when braiding your hair. Ribbons, jewels and even flowers are a lovely way to adorn your braids, giving you fabulous braid designs suitable for any occasion.